The Peoples Democratic Party has said it does not have any preference for any of its presidential aspirants. Notwithstanding, the party said it would present an acceptable candidate that would shock the ruling All Progressives Congress in the 2019 presidential election. The National Chairman of the party, Prince Uche Secondus, who spoke with one of our correspondents on Thursday, said that the party was already working out modalities on how to get the best out of its array of aspirants jostling to fly the party’s flag in 2019. Already, The PUNCH gathered that the party had set up machinery to make sure that money would not influence the outcome of its presidential primary. 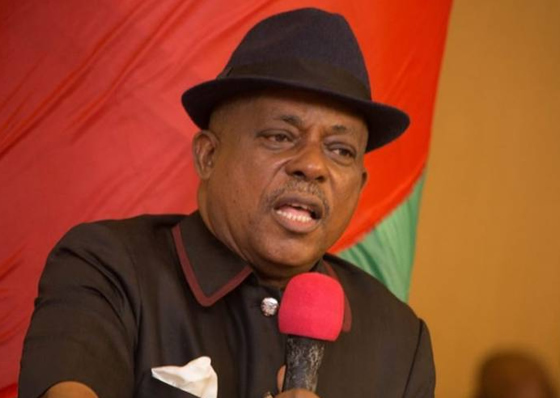 Secondus said that the National Working Committee of the party had resolved not to back any of the aspirants, adding that all the aspirants had been given the mandate to market the party to Nigerians ahead of the general election. He said, “We, the national leadership of the PDP, have no preferred presidential candidate for the 2019 election. We have eminently qualified members of the party and other Nigerians who are still aspiring to come to the PDP that can fly the flag of the party come 2019. “While we continue to monitor the activities of these individuals, we want to assure Nigerians that we will present to them a nationally and even an internationally- acceptable candidate that will thrash whoever the disorganised APC presents as its candidate. “The NWC met, and agreed not to either as an individual or as a body, back any of the aspirants because we are like fathers to them all. “But I can assure you that, once the aspirant emerges, the party and majority of Nigerians will line up behind him and his running mate. Asked what would be the criteria for the picking of the party’s presidential candidate, Secondus said that the party would release the guidelines on that soon. He added, “We will field someone who knows Nigeria and Nigerians. We won’t field someone who sees himself and his household as the geographical entity of the country. Asked on the progress made concerning the ongoing alliance talks with other political parties, Secondus said the committee set up by the PDP and headed by a former governor of Cross River State, Liyel Imoke, was making progress. “We have a committee that is making steady progress on that. All the opposition parties are working together and as soon as the committee submits its reports, we will swing into action, “he added. Currently, presidential aspirants in the party include ex - Vice - President Atiku Abubakar; a former Jigawa State governor, Alhaji Sule Lamido; the Gombe State Governor, Ibrahim Dankaambo; and an ex - Minister of Education, Mallam Ibrahim Shekarau. But investigations by one of our correspondents indicated that the party was ready to accommodate other notable politicians from the APC to join the race for its presidential ticket. Impeccable sources within the party said that the likes of the Governor of Sokoto State, Aminu Tambuwal and a former governor of Kano State, Rabiu Kwankwaso, are among those in the party’s radar. Also, the leader of the PDP in Oyo State, Rashidi Ladoja, has said that the party has repositioned itself for the takeover of the state in 2019.